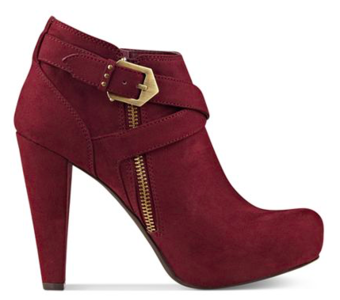 Now let’s turn our attention to this season’s star: the one and only suede l bootie. Pair with skinny jeans or leather pants, they’re tough like classic motorcycle boots. Need something softer? They also work great in place of fancy heels with a flared skirt or cocktail dress. 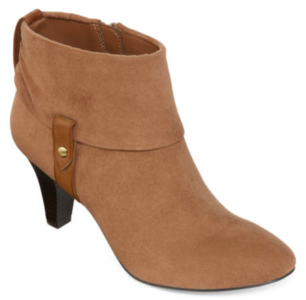 Not only do they look great, but the ankle height and stacked heel feel so much more relaxed and comfortable. 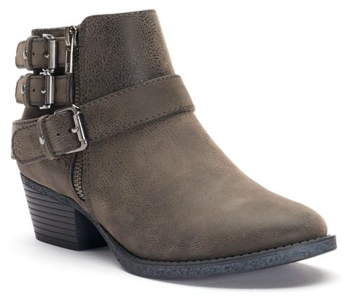 Blend these boots into your ensemble with ease in tan, grey or classic black. 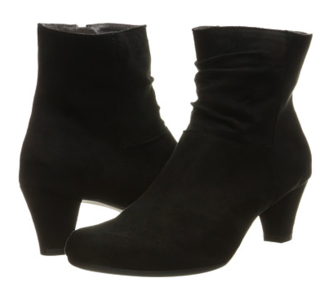 Here are our top five suede booties for all sizes of pocketbooks. We promise you’ll live in them all autumn long. Don't let the combat name fool you. These trendy boots add flair to any wardrobe while allowing active women to reach new heights, whether it's hiking, climbing or just out and about for a day on the town.